Samsung has launched yet another device that runs on Tizen OS 3 called Samsung Z4. Samsung Z4 is a budget smartphone that runs on Tizen OS 3 with 4G LTE enabled. This phone is said to be available in India and other markets that Tizen smartphones are being sold. Have a look at the full specifications of Samsung Z4 below. Launch Price: India INR 7,000 / Nigeria N35,000 / United states $110 / China CNY 760. Samsung Z4 Tizen OS 3. Samsung Z4 Tizen OS 3 specifications. Samsung Z4 release date. 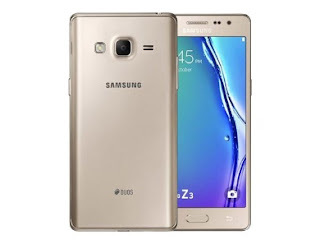 Samsung Z4 price in Nigeria, India, China, Kenya. This is a low budget Samsung phone. The only stand off function is the 4g lte. Everything else, wack.